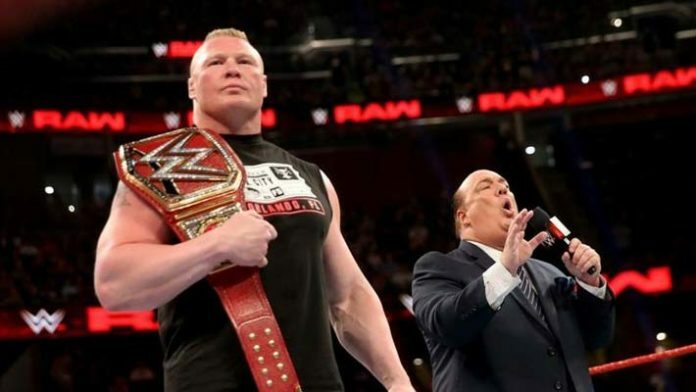 Paul Heyman is fired up and took to his official Twitter account where he hyped WWE Universal Champion Brock Lesnar appearing on tonight’s episode of Monday Night RAW where he’ll continue the build of his program with Seth Rollins heading into WrestleMania 35 where he’ll make his next title defense against the RAW star. This Monday night on Raw, I will finally destroy The Shield. This comes after he attacked Reigns prior to his first match on the flagship show of the company in several months and then when he beat Ambrose in a Falls Count Anywhere Match on last week’s show. Now, he’s set to face Rollins on tonight’s show.